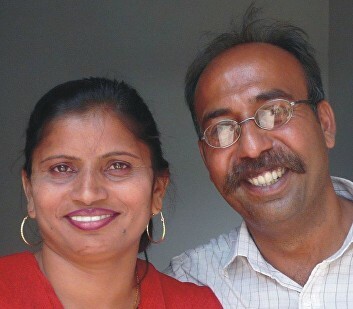 Edwin (shown here with his wife Suraya) is the director of Shalom Christian Centre, a great testimony in a country where Christians are generally poor and marginalised. AMEN has been able to help with some specific donations towards building projects and we have great respect for the work which Edwin and his colleagues are doing in their troubled country. Edwin and his team have many ideas for developing Shalom even further to be a blessing to their whole community. We at AMEN would like to be part of partnering them in this as much as we are able. 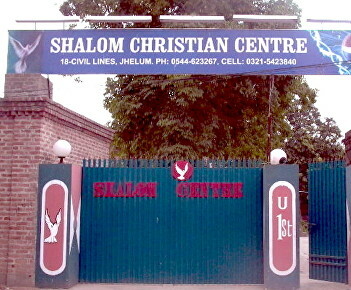 Shalom is situated in historical city of Jhelum. According to a tradition Jhelum proved to be reverse point for Alexander the Great after sweeping victories in subcontinent. SHALOM is a Hebrew word which means peace. It started working as a Christian Conference Centre back in 1980. Its motto is “a place for a closer walk with God”. 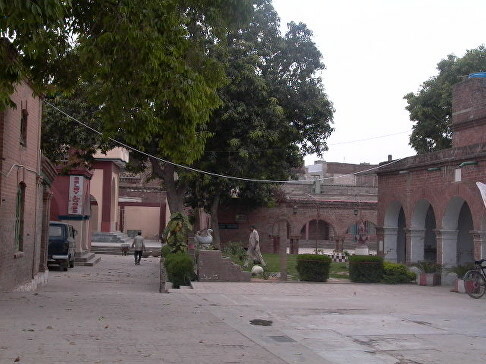 Before its conversion to a Conference Centre this place served the community of Jhelum as a Good Samaritan hospital. This property and some of its buildings are over a hundred years old. Christian groups come here for retreats and residential seminars. After working nearly twenty five years exclusively for Christians the direction was changed in 2005 when the management decided to open it for the wider community to have more meaningful contact with them. 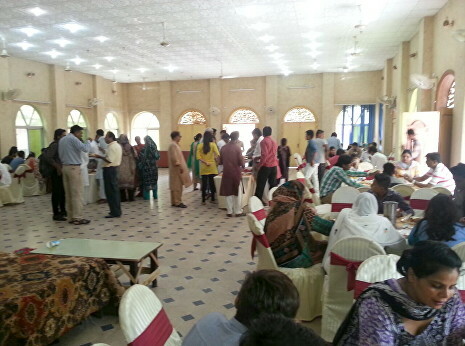 The Muslim community is given daytime use of the centre for weddings and social gatherings at low rates. 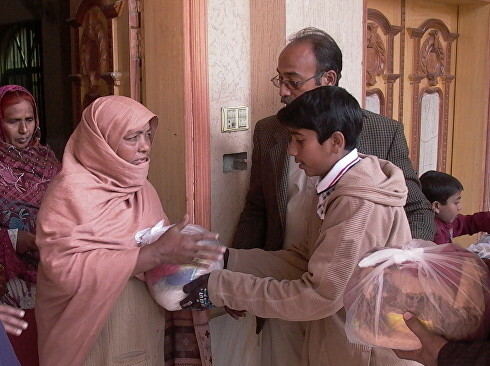 Occupancy by Christian groups is around 35% of the year, and about 800,000 Muslims walk through our premises each year. The opening up to Muslims has been a great blessing as it is a different way to reach out to them. This move has provided an opportunity to answer questions about Christianity. Opening up to the majority community has also had a financial benefit. There has been a major paradigm shift in the top-level management of Shalom in recent times. Now it works on the BAM (business as mission) concept. Shalom still needs more investment to develop its facilities and they are praying to build a school on 54000 sq ft of land across from Shalom. This will further the vision to help the community practically. 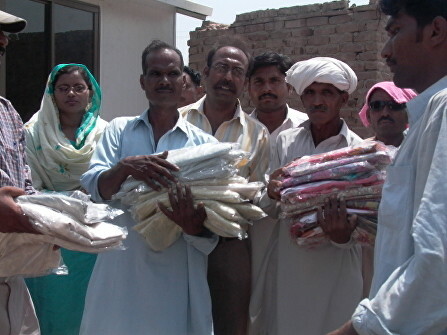 Please pray for continuing ways in which Shalom can bless to the community.